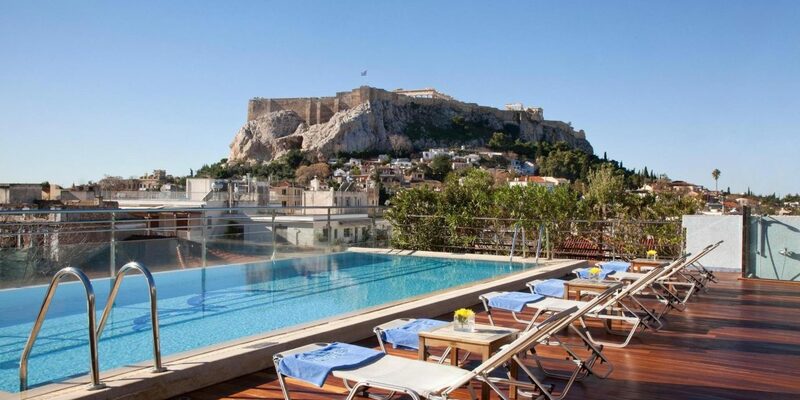 Daily life in Athens, one of the world's oldest cities, still radiates around the Acropolis. 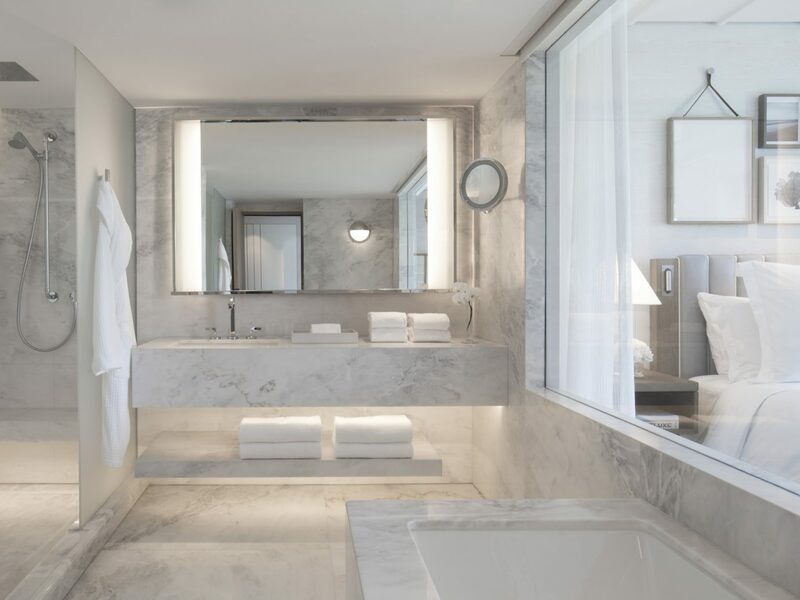 However, despite Greece's recent troubles (or perhaps because of them), those millennia-old antiquities are beginning to share the city with innovators of art and design, who have begun opening new (or reimagining old) hotels they hope will redefine the city they love. 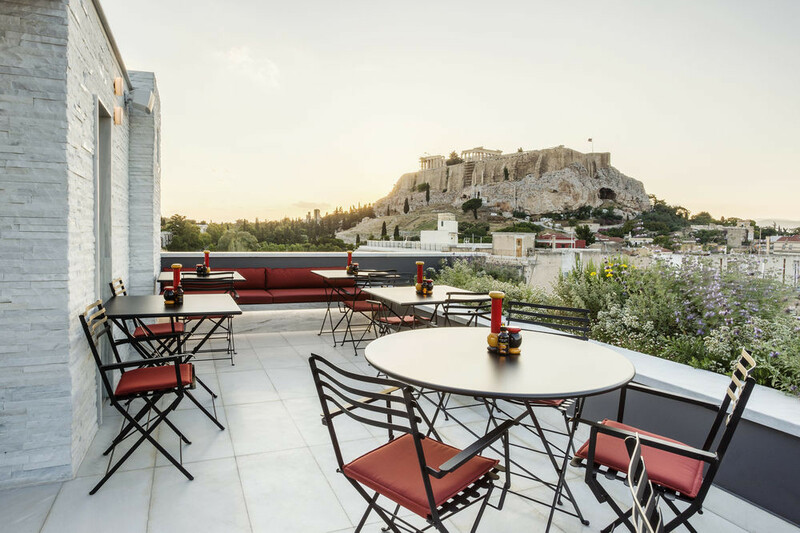 These seven picks are our favorite places to stay in Athens right now. 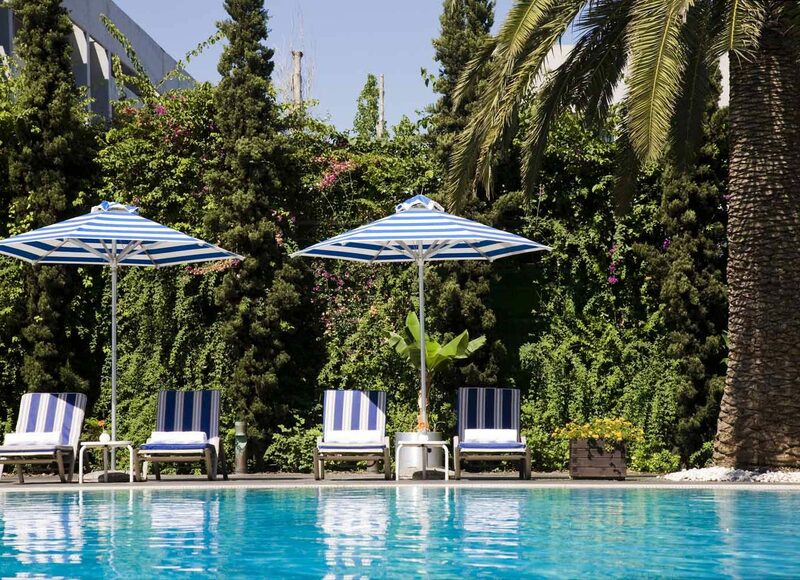 Athenian modernism has a new place to call home in Greece’s capital city: the Perianth Hotel. 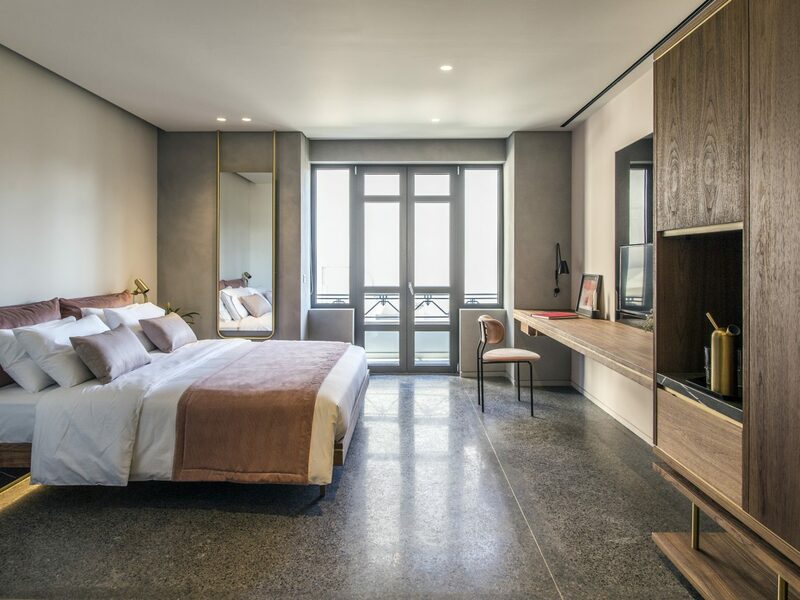 Last fall, local design firm du jour K-Studio transformed a 1930s Bauhaus building into a design dream: terrazzo floors, black marble benches, brass piping, and sharp angles create a soothing mood in the 38 guest rooms, where Asian-inspired details like Buddha statues nod to the attached meditation and yoga studio, Zen Center Athens. 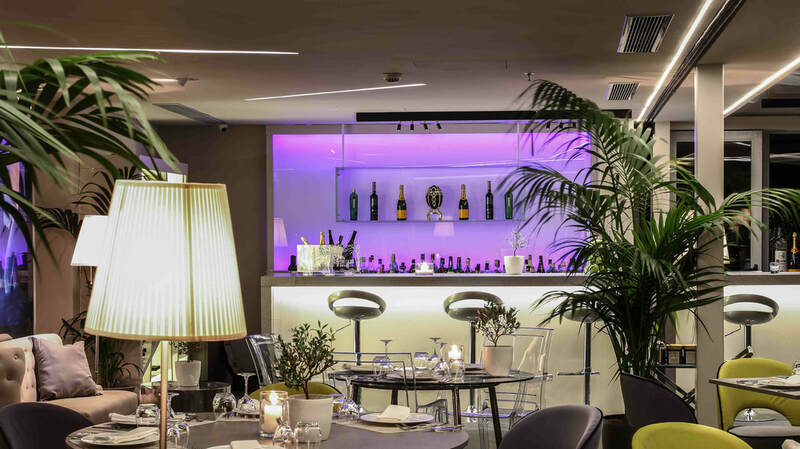 The on-site restaurant Il Baretto is just as stunning with its open-plan layout, curved bar, and drop-light chandeliers that accentuate Italian specialties like pastas and paninis. 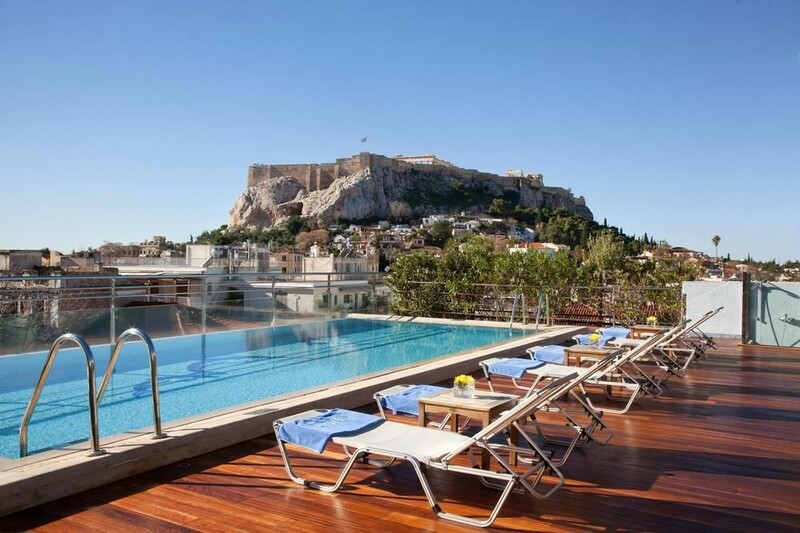 The clincher: despite being off the tourist trail, the hotel is still within easy reach of the Acropolis. 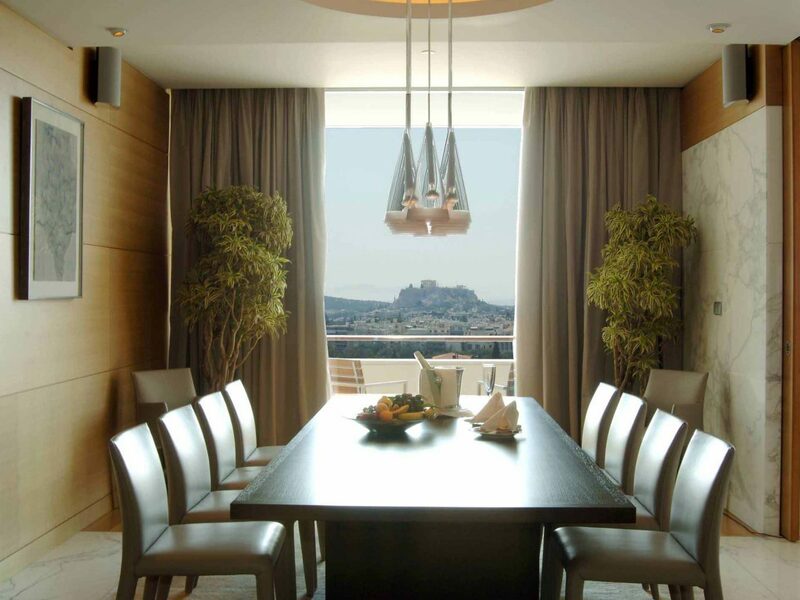 Athens’ legendary Astir Palace, which was a stomping ground for both Hollywood and actual royalty during the 60s, is the perfect fit for Greece’s first Four Seasons. 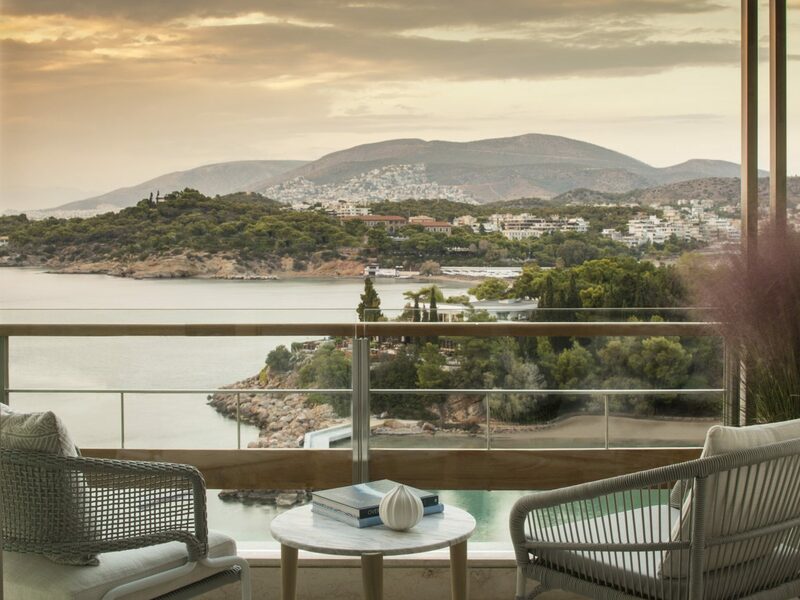 Yes, you’re 30 minutes from the city center, but the distance the hotel puts between you and the Parthenon is made up for with three beaches and a thick pine forest that gives guests not staying in rooms overlooking the Aegean something else to ogle at. 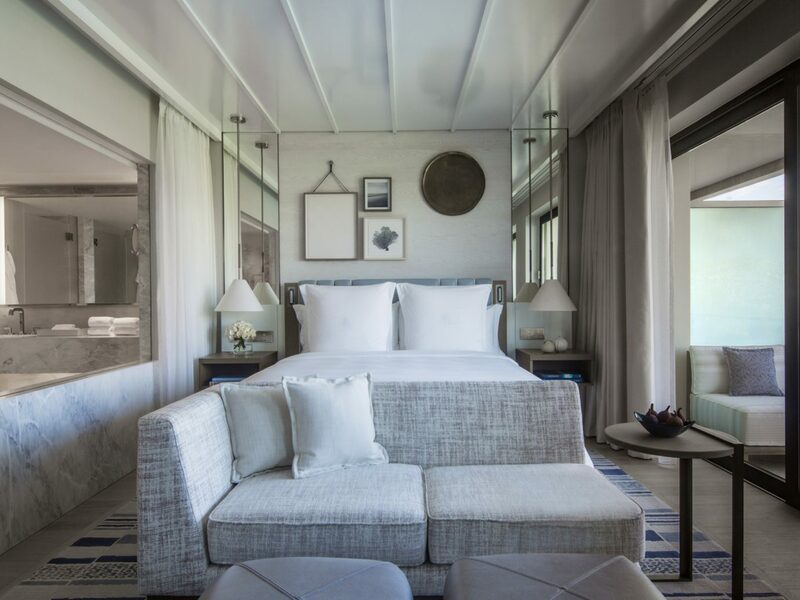 Rooms are divvied up between a modernist building, a mid-century building, and a clutch of original bungalows, and—true to the Four Seasons way—are all elegant and stylish with glass walls that open onto patios overlooking the pool and golden flourishes that hark to the city’s ancient past. 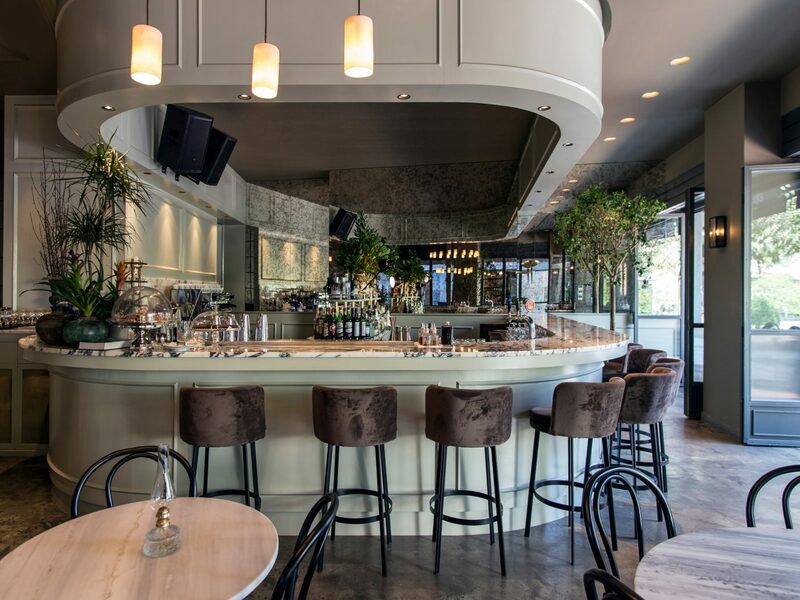 Fair warning: the property's seven restaurants and bars, spa, and yacht-filled marina might convince you to stick around longer than intended. 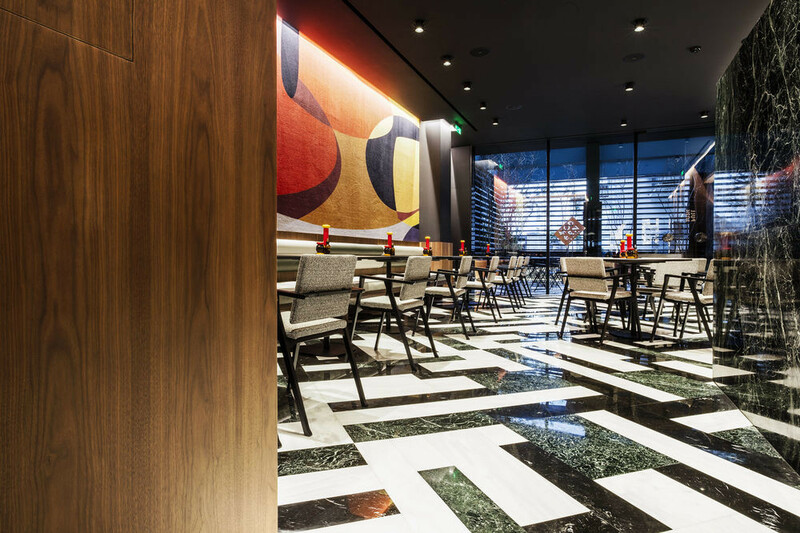 New Hotel’s owner Dakis Joannou is one of Greece’s biggest art collectors—which helps explain why this 79-room pad off Syntagma Square is its own kind of art gallery. 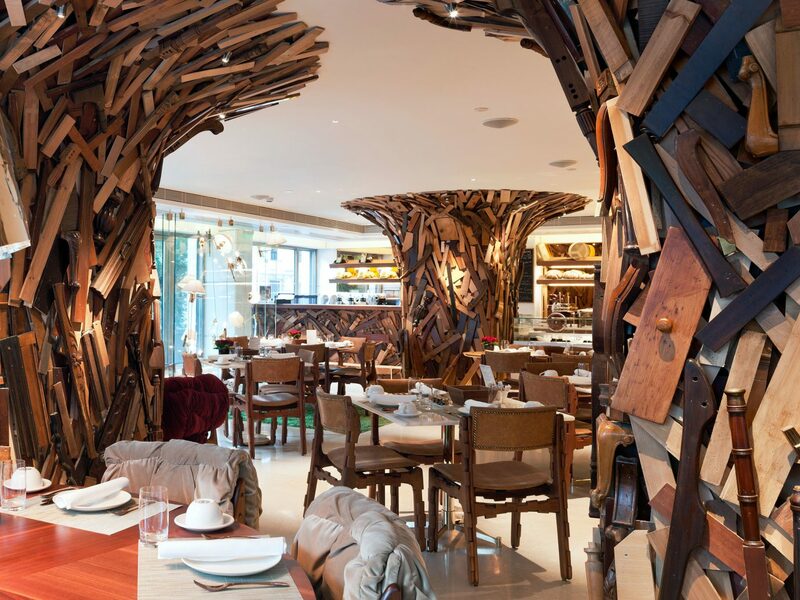 (That this is the first full-scale project by famous Brazilian architectural duo, the Campana brothers, explains the rest.) 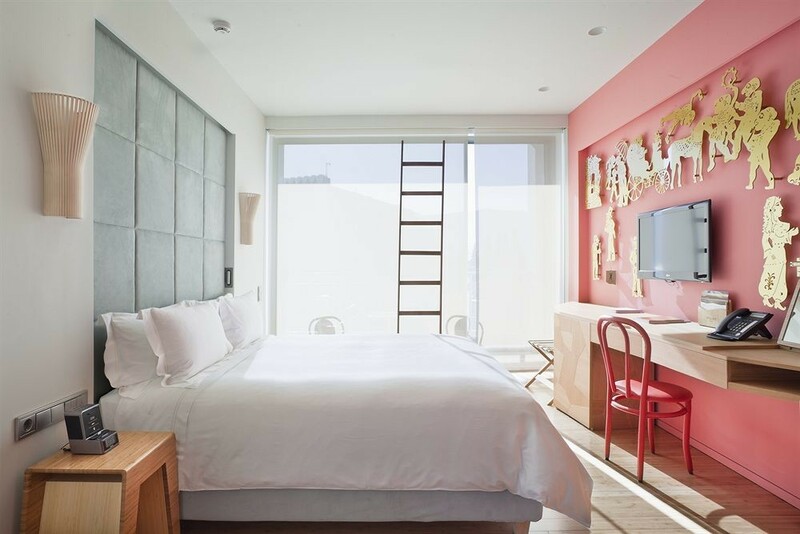 Guest rooms make as much of a statement as public spaces with their bright colored walls covered with vintage postcard decoupages, original art, and upcycled furniture (some were even cherry-picked from the Venice Biennale), along with less traditional details like asymmetrical mirrors and rugs that fit together like puzzle pieces. You’ll also find a library shelved with some 2,000 art book titles along with a café and rooftop restaurant. In-the-know travelers love the St George Lycabettus, which, despite having all the trimmings and trappings of a luxury stay right in the heart of the capital, still flies off tourists’ radars. 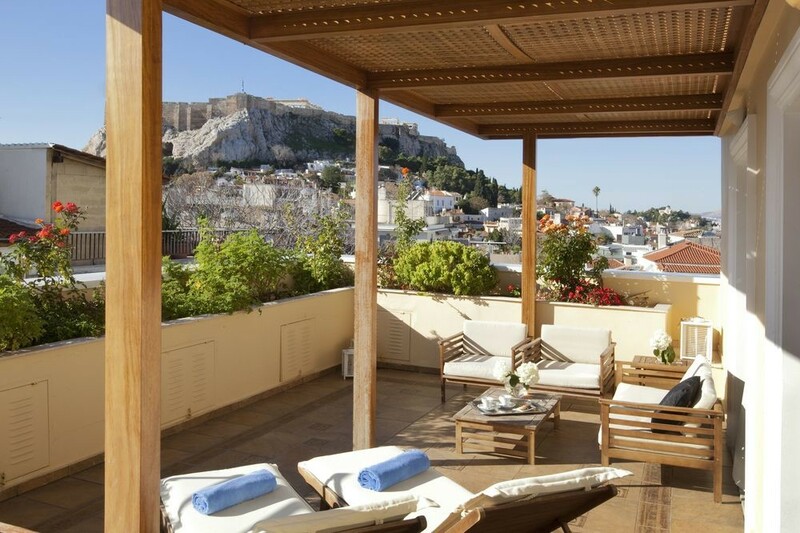 Like many of the city’s best hotels, this one has a rooftop overlooking the Acropolis—the setting for the pool as well as fine-dining restaurant Le Grand Balcon, where guests dig into Mediterranean dishes like veggie ratatouille and lamb. There’s even a 30-seat cinema that screens films when not booked for private use. 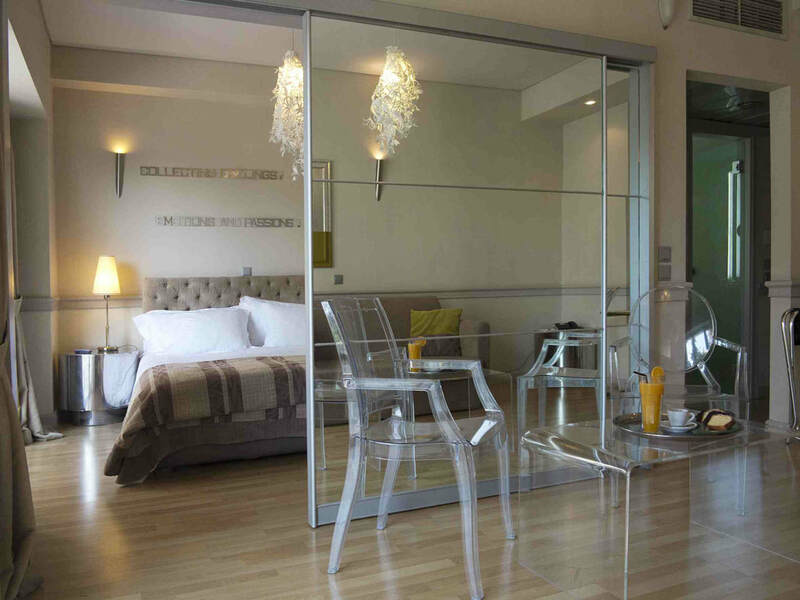 Rooms not facing the city or inner courtyard look out over the slopes of Lycabettus Hill. (Psst—it’s only a short walk from the hotel to the cable car, which takes you to the top for even better city views). 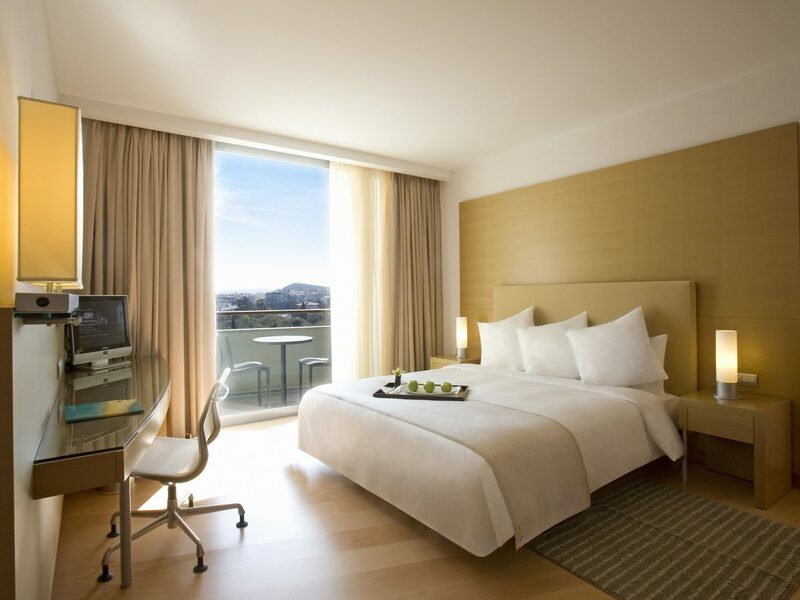 Our biggest tip: when booking, request which view you’d like—and be sure to ask about room styles, as they vary greatly between stages of refurbishment. 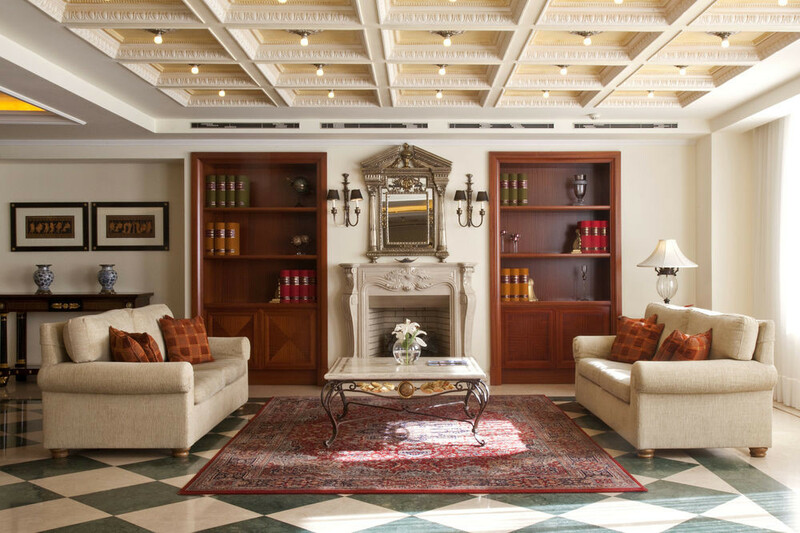 Part of the Greek hotel chain Electra, this classic Athens hotel is just the right amount of old-world. 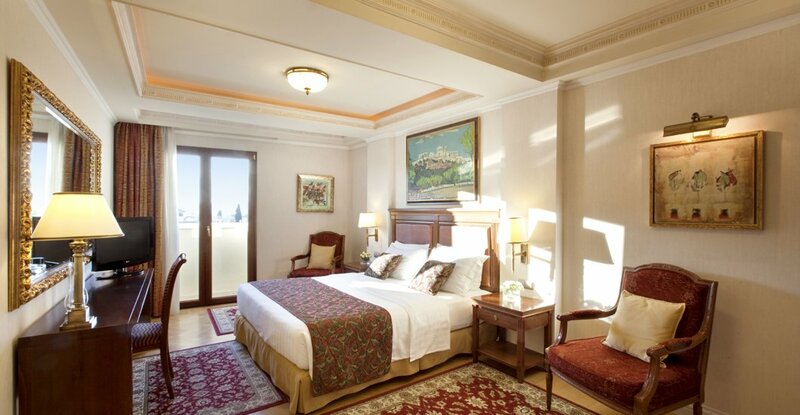 Rooms are elegant and atmospheric, with dark wood floors, Persian rugs, statement wood furniture, and views of the Parthenon (if you’re on one of the upper floors). 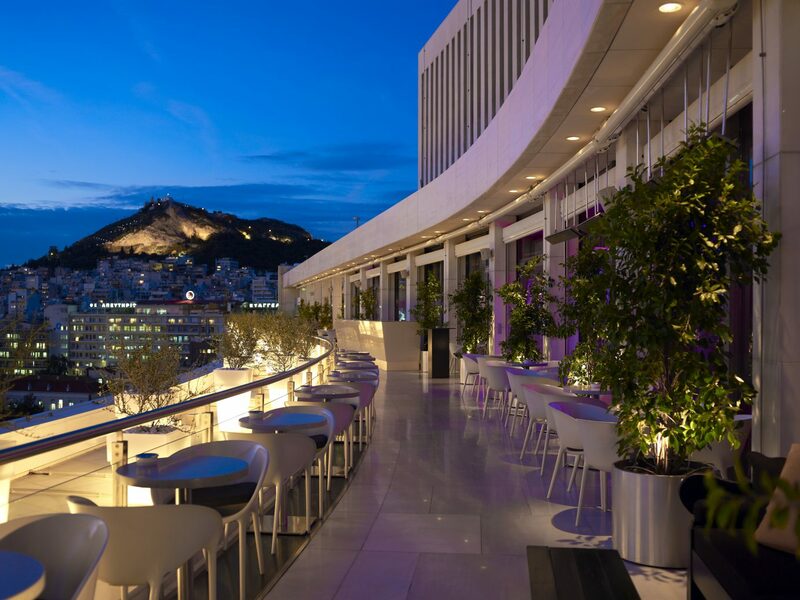 The same view is shared by the lauded rooftop restaurant, which spotlights Greek and Mediterranean cuisine and hosts occasional live music. 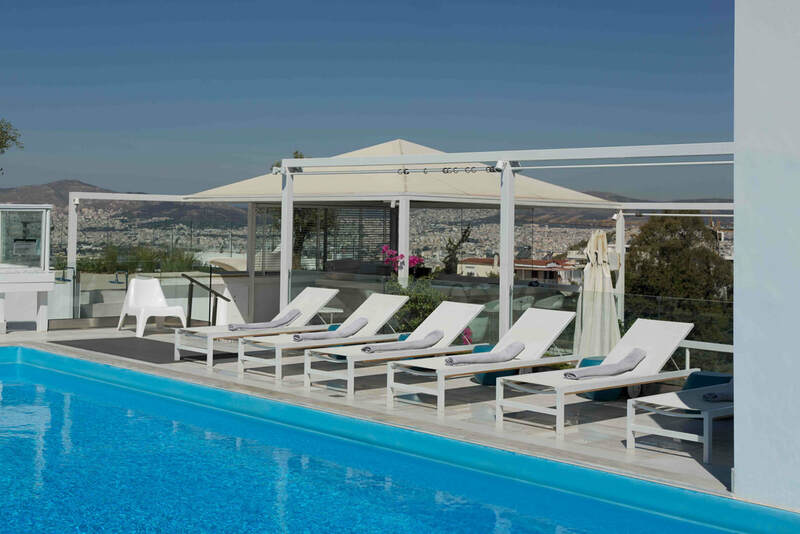 The outdoor pool is an expected amenity among Athens hotels due to summer’s often oppressive heat, but Electra's indoor pool is a pleasant perk (and is especially nice when the weather does turn chilly). 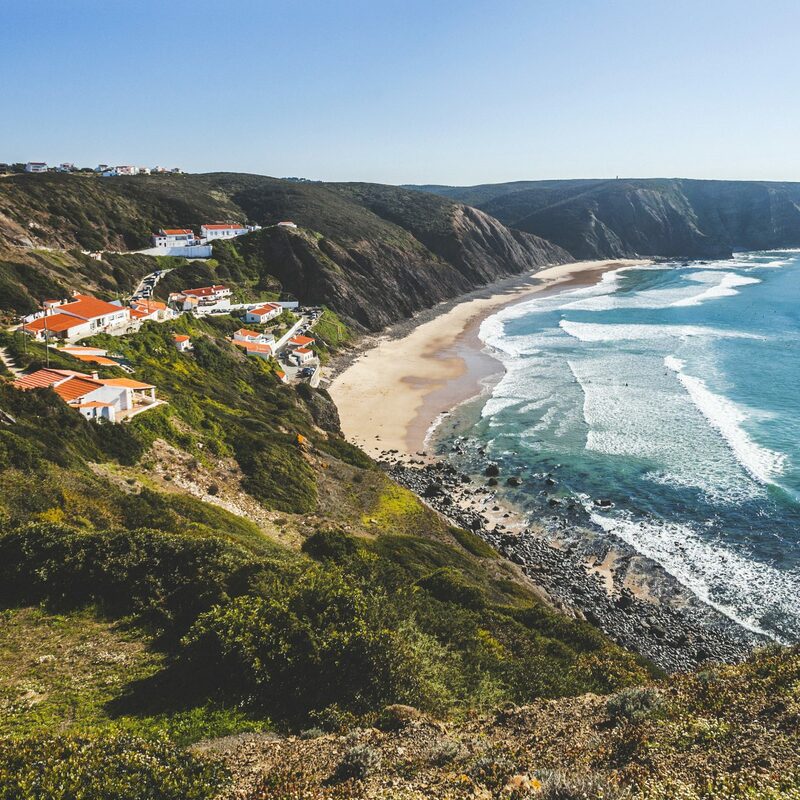 Be sure to take a peek—and a dip—if you’re visiting during the cooler months. 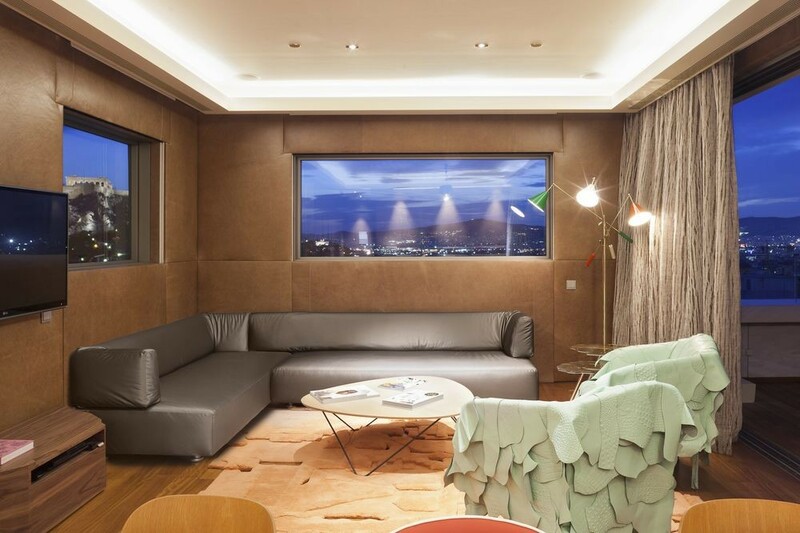 Chairs by Le Corbusier and Grcic and Rietvelt’s Utrecht sofas are just the start of this modern 21-room boutique, which takes its design leanings seriously. 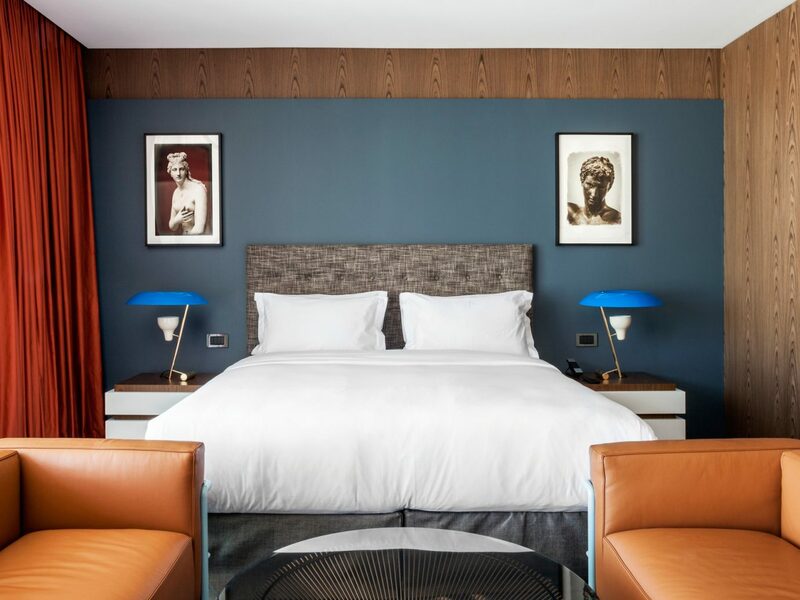 Guest rooms are full of character: the walnut wood walls, buttery leather armchairs, and color-block curtains recall the 1930s, while black-and-white prints of Greek statues don’t let you forget where you are. Each one even comes with a small balcony and surprisingly spacious bathroom. 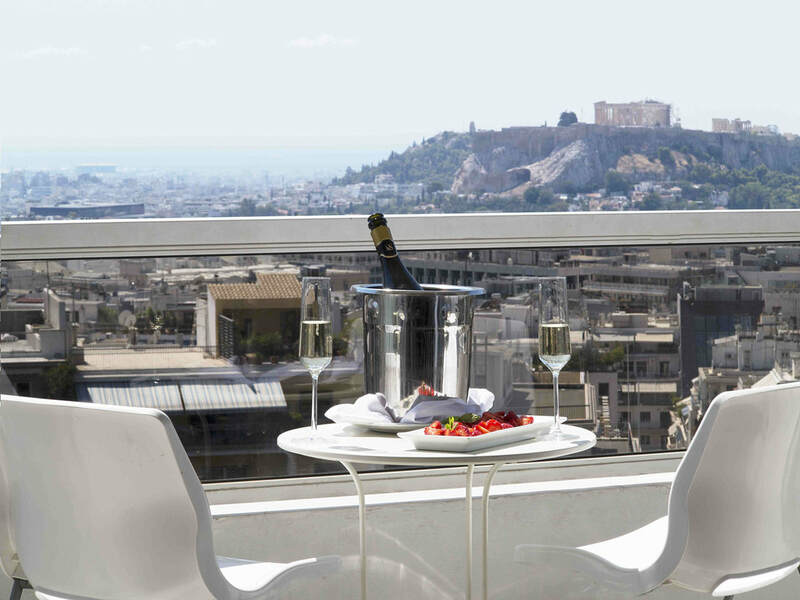 If the look doesn’t sell you, the location surely will: the hotel sits just a block from the Acropolis Museum, while dinners at the rooftop fine-dining restaurant Sense (glassed in during the winter) almost make you feel like the Parthenon is within arm's reach. 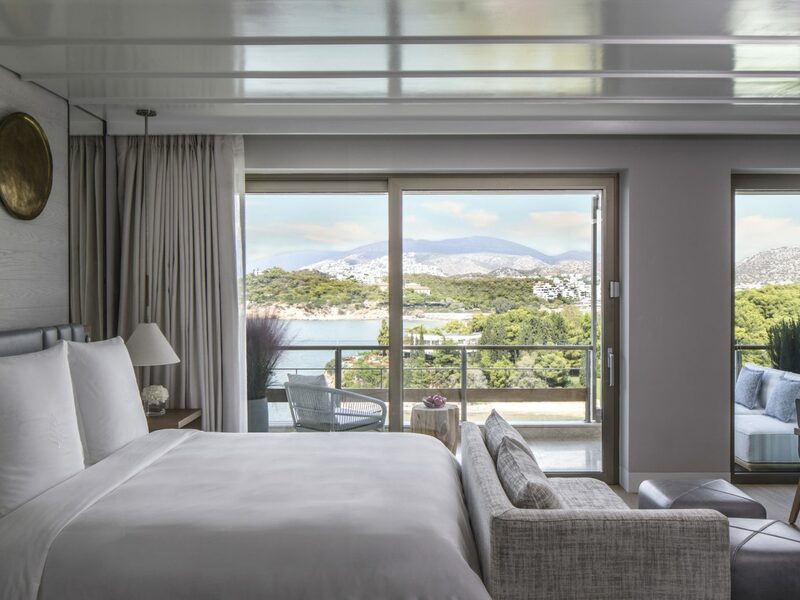 Don’t let the big-chain name fool you: Hilton Athens is still as cool as it was during its 1960s heyday, when it hosted the likes of Ingmar Bergman and Frank Sinatra. 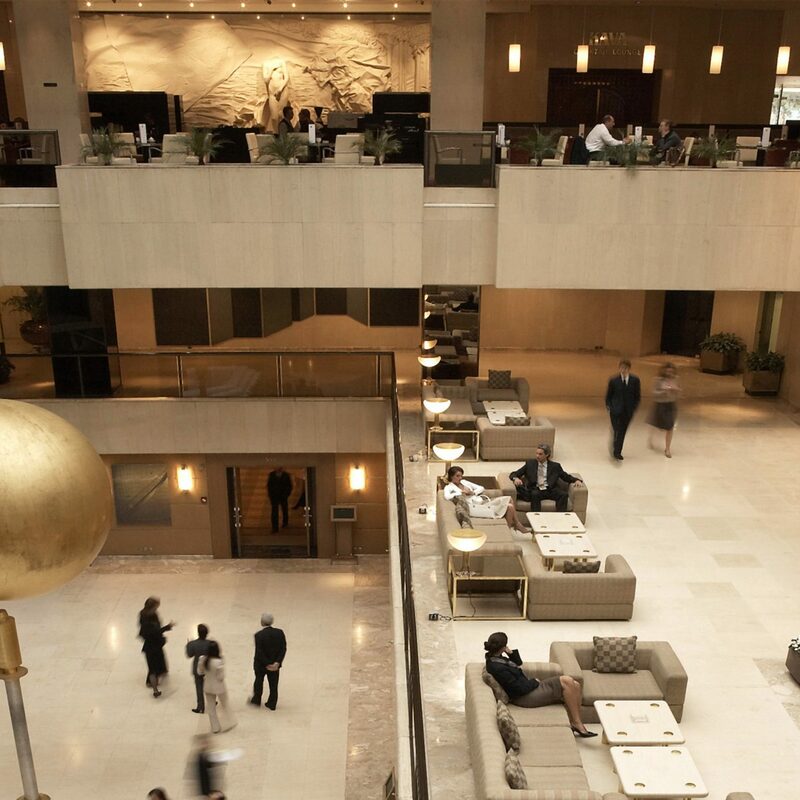 Back then, the building was an architectural marvel—a Brutalist exterior carved with hieroglyphic reliefs—and while its interiors could use some zhuzhing (rooms are typical Hilton—comfortable but simple), the rest continues to attract the young and hip in search of style and substance. 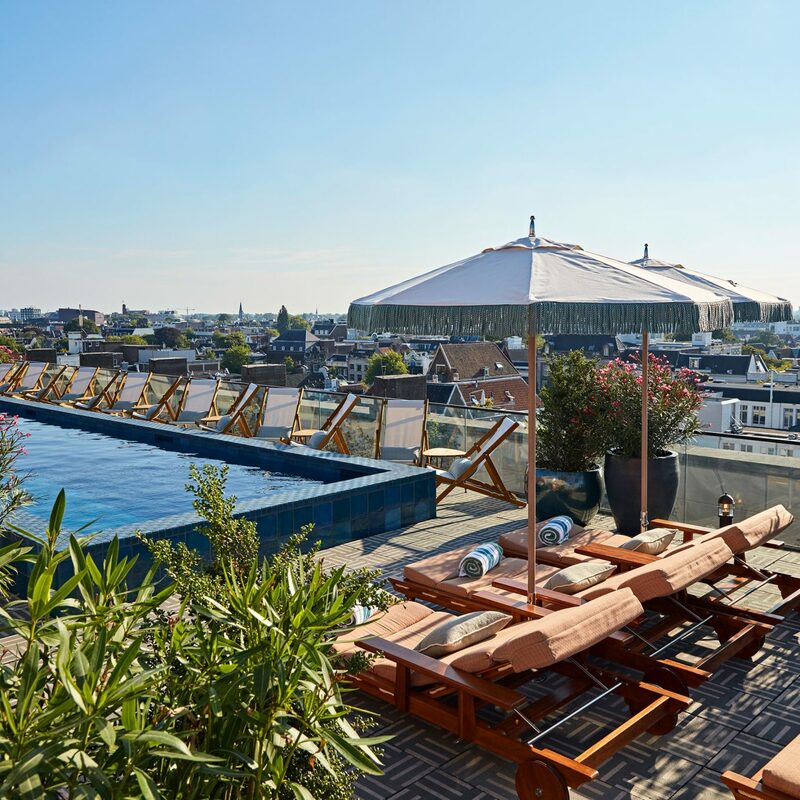 The seafood restaurant is celebrated, the Galaxy rooftop bar and restaurant (stunning sunsets included) is one of the city’s hottest hangouts, and the palm-tree-lined pool remains the largest in the city. 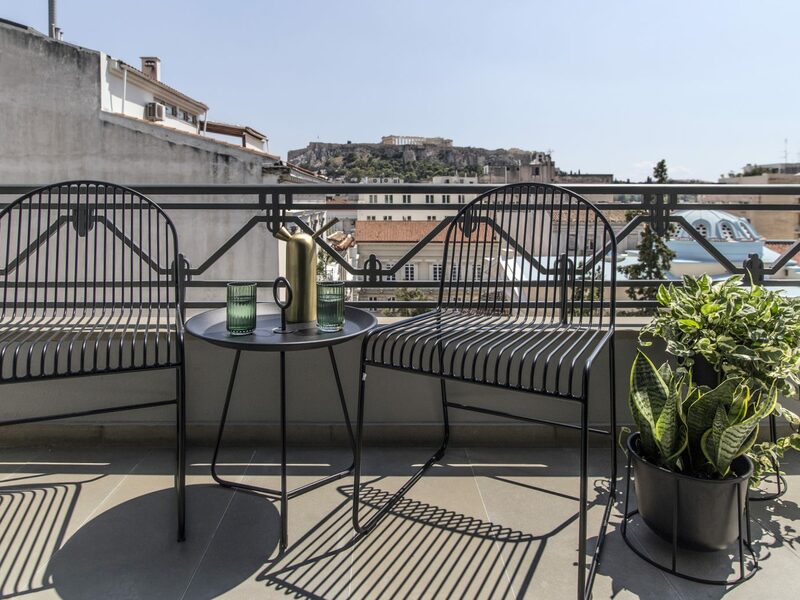 If that's not enough to woo you, the hotel's location in Kolonaki, an upscale neighborhood close to museums and the Metro, puts the city at your fingertips.